Taiwan, and by extension the US, was recently dealt a string of defeats after El Salvador became the third country this year to switch its recognition from Taipei to Beijing as the legitimate government of China, which Washington believes was encouraged by the People’s Republic promising it and the other “defectors” generous economic aid and the opportunity to participate in its One Belt One Road (OBOR) global vision of New Silk Road connectivity. That explanation only scratches the surface of the story, however, because the deeper significance in these developments is that China didn’t just “bribe” the leaders of each of those countries like it may have done in the past when similar instances occurred, but actually managed to convince their permanent military, intelligence, and diplomatic bureaucracies (“deep states”) of the wisdom of joining forces to revolutionize the world order through OBOR’s paradigm-changing potential. Prior to the unveiling of this global series of megaprojects in 2013, there would probably be a lot of truth to the notion that China just paid off a foreign head of state and that was that, but with Beijing having dedicated itself to serving as the engine for gradually reforming the international system through its worldwide connectivity initiatives, “defections” such as the ones that happened earlier this year need to be understood in a completely different context. New Chinese partners like El Salvador are no longer just pocketing a few bucks and then turning back to Taiwan in a bid to squeeze more money out of it to reconsider its decision, but are committing themselves to Beijing’s alternative vision of International Relations and economic development, which poses an enormous threat to the US’ existing but progressively weakening hegemony, hence the need to make the public appearance of seeming to do something about it. 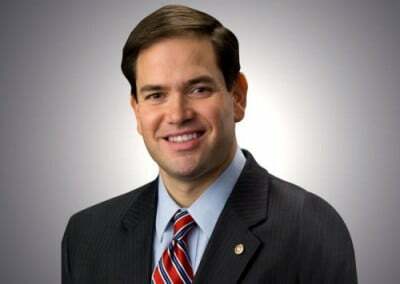 Senator Marco Rubio and three others jointly proposed the so-called “Taiwan Allies International Protection and Enhancement Initiative” (TAIPEI) Act that demands that Washington downgrade relations with any country that switches sides and considers altering or outright suspending foreign assistance to them, including in the military realm. It’s very likely that the US will heed this ‘advice’ in the coming future as it seeks to make an example of El Salvador, as was explained in the author’s recent analysis on the topic about how “China’s Embrace Of El Salvador Is About A Lot More Than Just Taiwan”, but the truth is that all of this might just be a lost cause because of the momentum that China’s already established. El Salvador is so significant because it could catalyze a chain reaction in Latin America, as could the Dominican Republic, which earlier this year also switched its allegiance, when it comes to the Caribbean. China’s “Trans-Oceanic Railroad” (TORR), which the author extensively analyzed in one of the chapters of his book-length analysis on South American geopolitics, could also lead to Paraguay jumping on the “defection” bandwagon as well, especially if its latest decision to return its embassy in “Israel” to Tel Aviv from Jerusalem is any indication of which way the wind is blowing with its new government. As for Africa, eSwatini (formerly known as Swaziland), is functionally irrelevant in the diplomatic and economic domains except for its symbolic value as Taiwan’s last continental ally, so it wouldn’t matter whether China “poaches” it or not, to be honest. The Pacific Island countries also don’t matter much apart from their symbolism, but China’s alleged “weaponization of tourism” in Palau – one of Taipei’s last partners – might point to Beijing “playing hardball” to change the status quo there too. It should be said, however, that “flipping” these Pacific Island nations would open the door for their “deep states” to more closely align with China, and the resultant security dilemma of American decision makers worrying about Beijing leveraging so-called “dual use” infrastructure projects like ports in order to turn them into military facilities would probably force it to act against whichever country breaks ranks with Taipei. That might partially explain the zeal with which Rubio and his colleagues are trying to push through the TAIPEI Act, as it isn’t just to send a symbolic message that the US care about these remaining 17 tiny states (which also includes the Vatican) turning towards China, but that it’s genuinely concerned about the long-term geostrategic ramifications if their “deep states” sincerely ally themselves with the People’s Republic. It shouldn’t be forgotten that China has succeeded in this endeavor principally because of the presumably better deal that it’s providing them through OBOR. Towards A “New Washington Consensus”? Understanding these dynamics, it’ll take a lot more than the threat of financial blackmail to retain Taiwan’s last allies because Beijing could easy offer these tiny holdouts generous packages of aid to bide them over in the interim period between the US’ downscaling of ties with them and their upgrading of importance in OBOR. For this reason, the US might end up adding a “carrot” to the TAIPEI Act “stick” by offering these countries a role in the “New Washington Consensus” that the author wrote about earlier this summer in regards to North Korea , though these won’t be credible enough to their “deep states” unless there’s a high-profile example to prove the profitability of this concept. Barring that, it’s foreseeable that more countries might “defect” from Taiwan to China despite (or possibly even, with China’s urging, to spite) the TAIPEI Act, thus making it more symbolic than substantial in the grand scheme of things.